For a wedding, a location holds great importance. Because it is where your wedding takes place and it must be according to what you expect. Though the selection of a location depends on the guests’ number. Suppose that you are inviting two thousand guests at your wedding, you require a big location. A small location won’t do the work. And in seasons of weddings, locations get booked quickly and always remain advance booked. At this time it becomes a bit difficult to book and search a location. 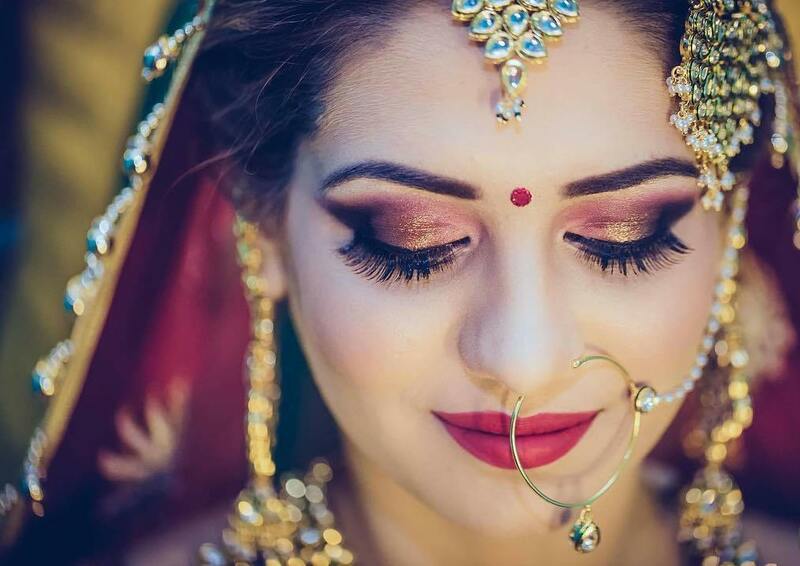 But don’t worry you don’t need to walk emiles of distance for a wedding location, you can search on Shaadidukaan.com, which is India’s favorite and most preferred online wedding market. Here you find verified wedding locations and their vendors. 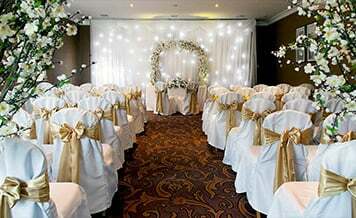 You can book any wedding location as you want by available information on the website. When it comes to searching for wedding locations in Jaipur, there are a lot of options available. And we are not talking about options in terms of different sellers or vendors. Rather we are talking about different choices like hotels, farmhouse, open lawn, resorts, and a banquet hall. For your convenience, we have discussed each category below. The selection of a wedding location is your choice where you want to organize it. Some prefer hotels, some resorts and some other. 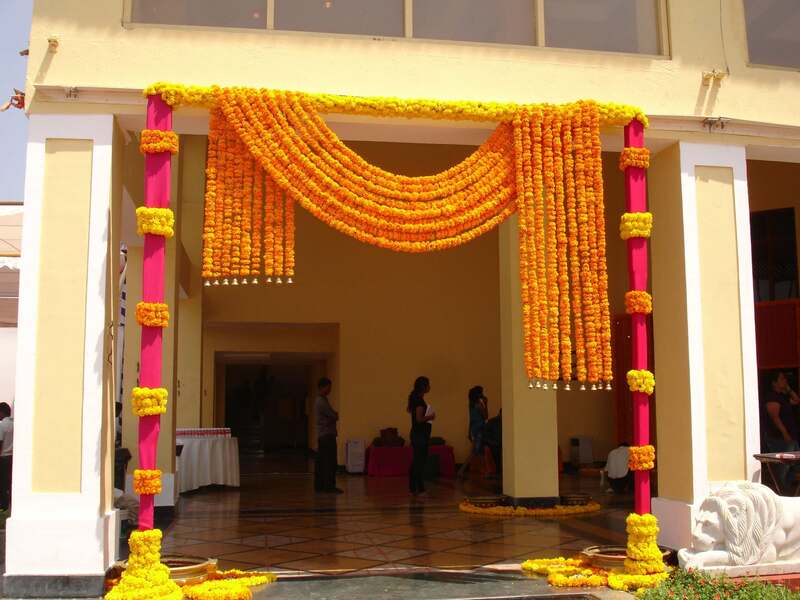 There are many wedding hotels in Jaipur that have facilities for organizing a wedding. They are equipped with luxury amenities. One can select one’s choice of a hotel. Jaipur is architecturally a great city. It has grand destination wedding places for destination wedding requirements. 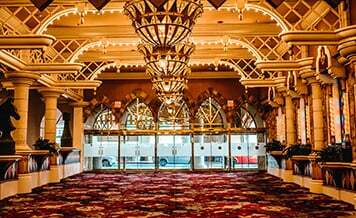 The cost of a wedding location depends on what type of place it is and amenities it has. 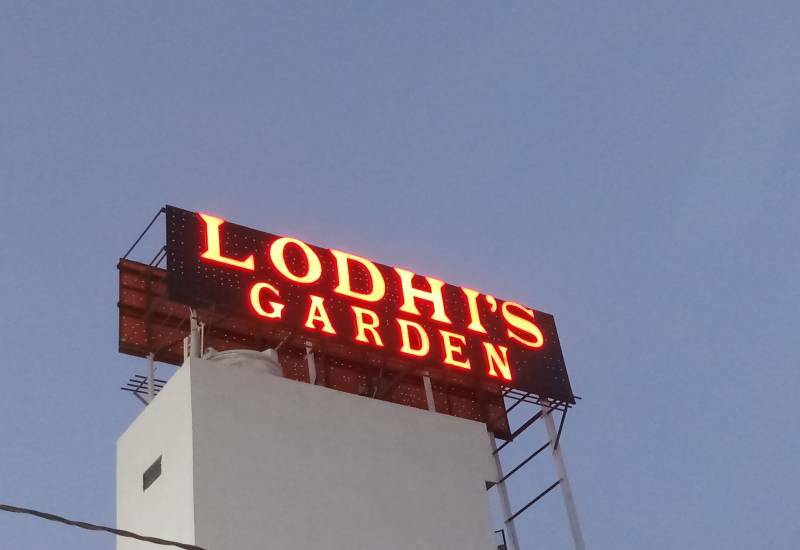 A luxury hotel costs more than just a normal marriage garden. Some people prefer wedding lawns for their wedding. 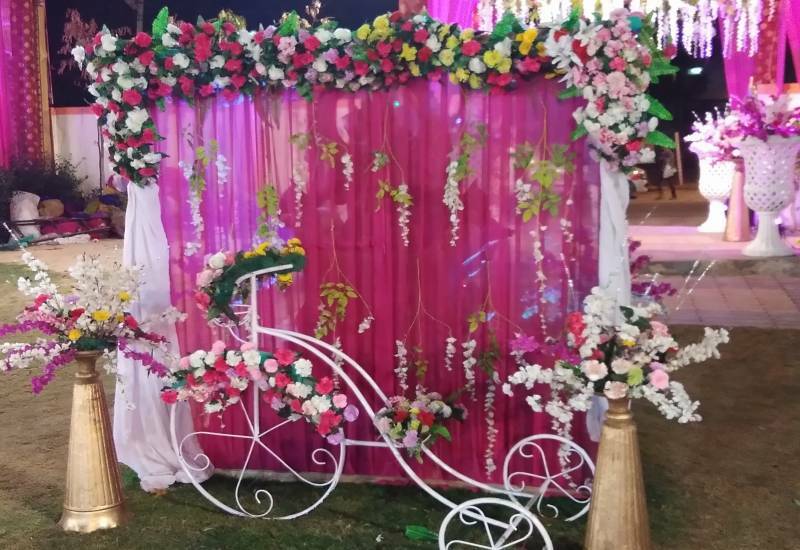 These lawns are a kind of great field where you can have your décor set up according to your own style while in wedding halls one doesn’t have this flexibility. 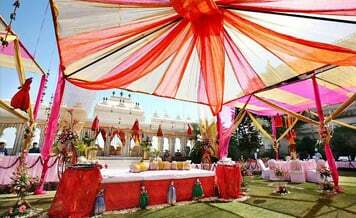 Choosing best wedding lawns in Jaipur is not an easy task because of the endless options available. Many couples prefer an open lawn to get married because such venues are able to accommodate large number of gatherings (around 700-800 wedding guests) very easily. A farmhouse is one of the best options for those who want to escape city noises, the best option for a wedding in greenery and far from city traffic and crowd. In a peaceful environment, calm and serene, and among nature, who doesn’t want to host a wedding? In a wedding farmhouse, one only needs a great lighting setup to decorate it all and beautiful. There are many other décor options to decorate it. You just need to select what you want according to your style and taste. 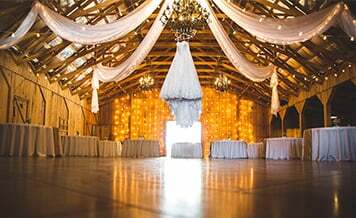 When you select a farmhouse, you should know the number of guests who are coming to attend the wedding, according to your guest list select the venue. And you will be surprised to know, many elite families who own scenic farmhouses have started renting it out to be used as top marriage gardens in Jaipur. Many couples like to arrange their wedding out of their native city. Jaipur has the outstanding destination wedding locations. There are destination wedding resorts in Jaipur also available. One can also select a resort for a wedding with all the equipped amenities. The cost of a resort depends on what type of resort you select for the wedding. Budget is also the main issue when a wedding location is selected. 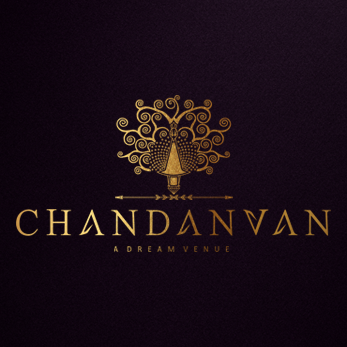 Banquet halls can be booked for medium size functions, parties and weddings according to guests gathering. Before booking check the availability of them and book in advance. 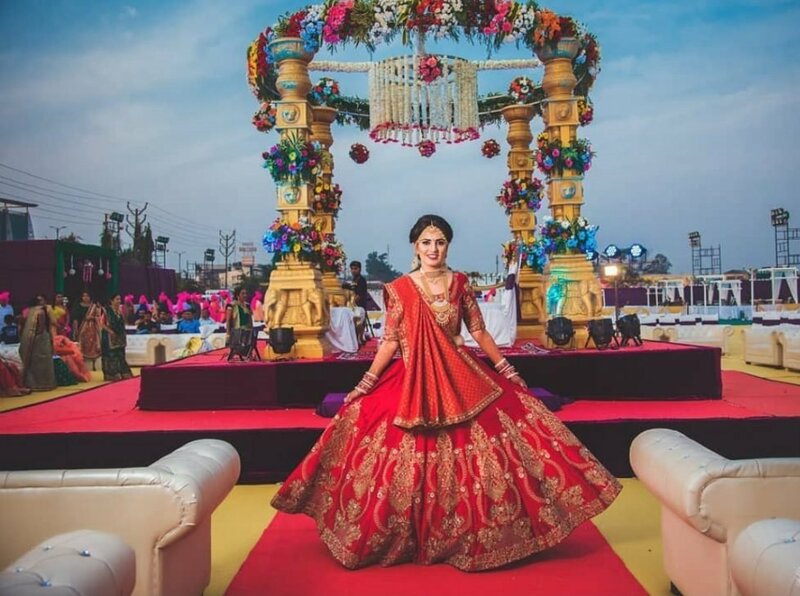 You should check it properly whether it is equipped with all the basic amenities you want provided guests do not have to suffer when they come in your wedding and also the ambiance of it. Your selected banquet hall must have the capacity to accommodate all guests. There are many wedding banquet halls in Jaipur. 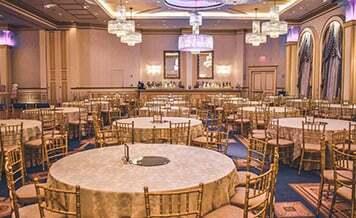 Budget is also the main concern so fix it and decide whether you can stretch it or not when you do not find the banquet hall of your choice. It often happens in the wedding season. 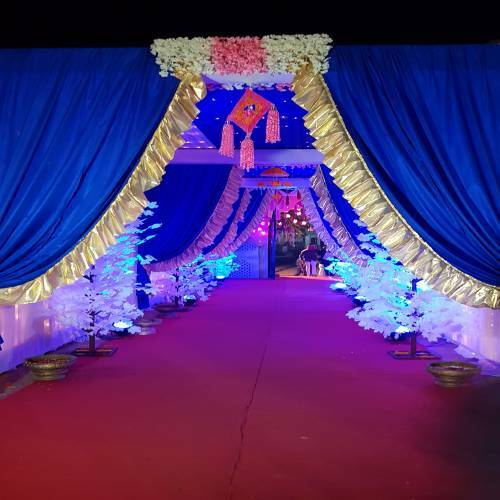 Visit the website to have a look at different images of banquet halls so that you can see to get an idea of what kind of a particular banquet hall it is. You can also visit the place then. Banquet halls have the facility for in-house catering services also. You should check the food quality of a banquet hall. Till now we gave you an understanding of different wedding venue available in the market. But before you go ahead and book the dream venue, have a look at these points discussed below. They will help you make a smart choice in finalizing the location. Venue Location: If you are getting married in your own city then book a wedding venue which is easily approachable for the majority of the guests. There is no use in selecting a far-off location if ultimately the guests’ do not even make it to the wedding. In case of destination weddings, keep the venue at a place which is nearby populated areas like hospitals, railway station, bus stand etc. Venue Cost: It always important to select a wedding venue within the amount of money set aside out of the wedding budget. A lot of couples, in order to have lavish weddings, spend way too much on exotic locations and as a result, end up comprising on other aspect or in extreme cases take loans from relatives. Venue Rules: Many wedding venues have different rules which couples are expected to abide if they want to get married there. It can be related to a number of wedding guests, limited music timings, prohibition from placing a paan stall etc. So before booking any venue, ask the owner or manager about any rules in place.